Just like you need insurance for your health and travel, you need car insurance as well. You live in a world wherein maintenance are expensive than purchasing a new auto, and this manipulates the demand for insurance. People want a little extra stash of money in their wallet, but it’s quite challenging if you have lots of cars that need to be insured. The results for not having insurance are never worth the hazard especially in the emerging markets like Pakistan wherein traffic load is growing daily, poor conditions of roads and not good driving habits with a bit sense of traffic rules leads to accidents on a frequent basis. So, covering your investment with a decent insurance policy is vital, but with lots of policy options available, it is so hard to know the best: this is where digital insurance services comes in that is also abbreviated as Insurtech. Insurance is the law and needed for all of us, so it’s an easy and smart choice for companies, individuals as well as insurance providers to stay educated with the growth of insurance technology. Technology is emerging beneath your feet whether you like it or not, so the only option is to continue to grow with it. For most of us, the concept of insurance, in general, is not very well understood. A few years ago, insurance brokers would need to come to your home and might offering you a more expensive rate. In other cases, you visiting them and getting very high premiums in absence of a digital insurance marketplace that gives you control to buy what you really need with the best available premium rates in the market. Now though, with new insurance technologies, you can compare insurance online and get the best one in just a minute that is more cost efficient for the insurance company and more accessible for the client as well. Looking online for your monthly statements and adjusting with a click of a button is a new luxury which can now be offered. Customers are now happier & satisfied than ever since they are now able to review all available options within a few minutes offering them greater flexibility. In this day and age, virtually most of us have a bank account that can be utilized to buy goods and services online or making online orders and paying the money back through cash of delivery models (COD). This makes trade and industry convenient and allows people to trade with each other all over the world without ever having to see each other face to face. However, this convenience comes with a hidden danger. That hidden danger is identity theft. In order to avoid this, if you are using your bank accounts or other accounts, you are going to use different numbers and series of numbers which are exceptional to you. This can be anything from offering innovative solutions around customer experience, aggregating insurance products, price comparison, analytics, artificial intelligence, telematics, online purchasing of the insurance products. Luckily though there are people that are devoted to helping those who have had to suffer this travesty. The development of insurance technology allows you to compare rates and do your own research about a specific coverage which you are looking into. You are able to look into the coverage that best suits your life, instead of being talked into a kind of coverage which might be more money and not precisely what you wanted. For insurance companies, this means a shorter underwriting time and faster insurance coverage compared to many years ago. Another feature that digital insurance is using is the technology to use real-time for consumers looking for instant attention and answers. What used to take up to ninety days now takes a week time and sometimes just a matter of minutes to have complete insurance coverage. Digital insurance allows the insurance company to be strategic and smarter on how they reach out to new clients. From insurance aggregators who provide an array of products to client segmentation which utilizes data to determine which clients to reach out, insurance technology makes customer acquisition less of a shot in the dark and more tactical. This is shown with the development of insurers online, most essentially given that millennials are twice as likely to buy insurance online as other generations. Data and digital technology give customers the chance to know the insurance provider better and vice versa. That means they can price as well as underwrite more precisely and better recognize fraudulent claims. In the world of insurance, come comes in through brokers or agents and leaves via claims. They can utilize data to have information on clients like their auto insurance records prior to starting the underwriting process. Through digital insurance, you are also able to know the right insurer to go to. At this point, there are many insurance companies that offer various kinds of insurance products such as health insurance, travel insurance, Jubilee car insurance, TPL car insurance, UIC car insurance, life insurance, home insurance, and many others. Due to the massive number of insurance provider, it is hard for clients to pick the most and reliable one. And because of the presence of insurance technology, choosing the right provider is easy and stress-free. Insurance technology allows you to review each service provider, compare the premium and of course the rate. This is very beneficial for those who don’t have experience buying any type of insurance. More unique & innovative insurance products are appearing in the digital world such as identity theft protection. These are specific types of insurance products that keep you safe against this very kind of thing. If you have a policy with one of the insurance agencies that provide this type of identity theft protection, then that company will step in on your behalf and help you to address any issues or problems that have been caused from someone has stolen your identity. The whole thing has benefited from technological advancements. One of the places that you will be able to see some of these current technologies unveiled and demonstrated is at a fintech / insurtech conference. Client expectations have changed drastically over recent years with the developments of data, advanced analytics, and technology. Insurers are working harder to know which technology and what analytics and data implement to meet if the not exceed the expectations of customers. Insurance is a business based on reliance—the customer pays a policy knowing if they do business with a specific insurance provider they will feel the significance of that business later. Digitla insurance is significant both for insurance companies and consumers as well. come efforts are required to support the financial inclusion and creating social impact for the people in emerging markets have very low insurance penetration. 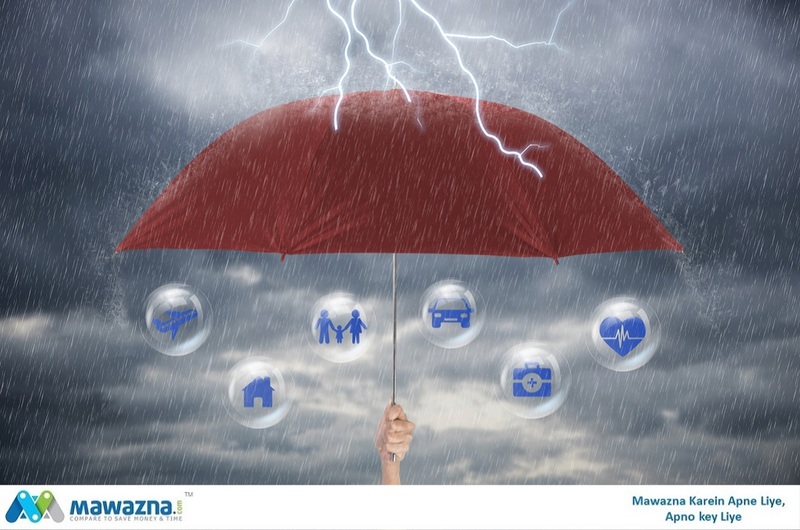 Mawazna.com is one of the leading insurance technology service providers offering digital insurance and insurance aggregator services that cater to Pakistani customers.